I just discovered a really cool new online lifestyle platform where you can share your favorite photos with fashion and beauty lovers from all over the world! 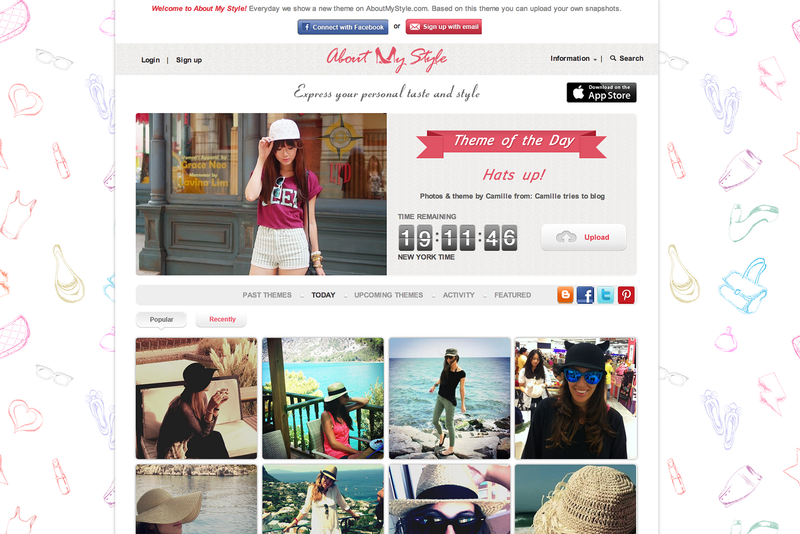 It’s www.AboutMyStyle.com ! As the name suggests, it’s all about expressing your personal style and taste just like how we do it over on Instagram except About My Style is just a tad bit more fun. Why? 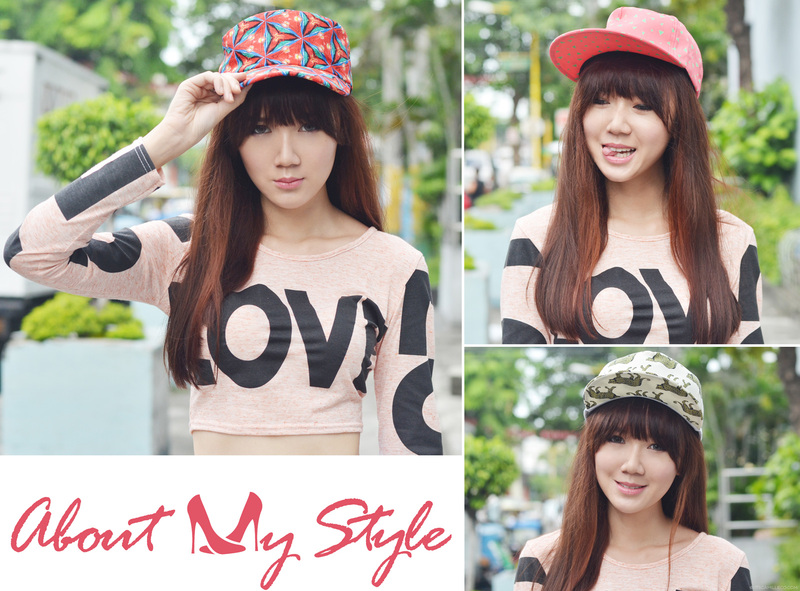 About My Style is your own little lifestyle diary! Everyday, there’s a theme that is set for everyone to follow. For example, the theme of the day is “Head Over Heels”, so everyone on About My Style will post photos of their favorite pair of heels. You can easily upload your photo via the smartphone app (as shown on the photo above) or through its website (as shown on the photo below) and apply photo filters as well to make your photos even more you. After 24 hours, an entirely different theme will be set. It can be your favorite ring or your favorite red carpet look and so on and so forth. The themes aren’t always about fashion and beauty though. They can be anything from your healthy lunch, your latest read or a photo of an amazing view you saw the other day. Anything is possible! This way you can get to know people’s style and likes across various subjects without the risk of running into photos of the weirdest and most random things on the popular page! It’s like a filtered version of Instagram! I really like this concept and enjoy going through all the photos others have posted on their profiles. In fact, I like it so much I even got to choose today’s theme of the day–“Hats up!” I’m looking forward to seeing all of your hats! I’ve actually already seen quite of a number of nice photos that I can take inspiration from. Will yours be one of them? Hi Camille! u‘re so fantastic model! I like the color of ur hair…what is that color? Is that your phone? It’s as cute and fashionable as you are! ^_^ Will definitely try that app. So many chances to find different styles! I’m definitely joining! This seems like such a cool app! Definitely checking it out! SHET SOBRANG IDOL KITA MANAMIT HUHU (NOT SARCASTIC!!!!!) I REALLY LOVE YOUR STYLE, GIRL!! Looks cool! Please make an update once they have it for android! i wanna download it too but im a samsung user. :( Thanks!!! Another interesting site/app. It looks like fun! I already feel overloaded with apps similar to this, but if I ever feel the need to, I’ll give it a try :) Thanks for posting about it! Awww thank you Adet! I love the layout too! A new app to explore, thanks for sharing it! <3 I love your poses on the last photo (tongues out, pa cute) haha. thumbs up for this! I just realized that your featured from this website. Amazingggg! For sure this will be the new trend! because it’s such a cool app! Let’s keep that a secret! Haha! Haha! And that’s what you noticed on this blog post? LOL!